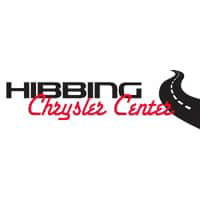 At Hibbing Chrysler Center in Hibbing, Minnesota, we make it easy to get the financing you need for your next car, truck, or SUV. Whether you’re looking at a new Jeep Cherokee or pre-owned Ram 1500, we have the auto finance tools and lending resources to get you behind the wheel of a premium model today. No matter your credit history, we have flexible auto loans and financing solutions to fit your budget, including bad credit or no credit financing. Our experienced auto finance experts can work with you to get you into the perfect new car for your taste, budget, and credit situation. So what are you waiting for? Call now to talk to one of our auto finance staff, or come see us in person at our Hibbing, MN auto dealership. If you’re looking to get the vehicle finance process started right away, be sure to fill our secure online auto finance application. We only need a few pieces of information, and you can get pre-approved for auto financing from Hibbing Chrysler Center. From there, take a look at our other online car-shopping tools, including our auto payment calculator and value your trade-in service. This way you’ll know exactly what any monthly auto payments will look like, and you’ll know how much we can pay you for your trade right now. Stop by our Hibbing, MN auto finance center to speak with one of our experts about your auto financing solutions today. If you like the idea of saving money on a new model or pre-owned vehicle, you’re in the right place. At Hibbing Chrysler Center, you can shop all our best deals and special offers right here on our site. Check out our new vehicle specials and used vehicle specials for up-to-the-minutes discounts on our most popular cars, trucks, and SUVs. If you’re looking for a great, low price on your next vehicle, head over to our bargain model inventory now. After you’ve seen a model you’d like, schedule a test drive with one of the auto sales experts at our Hibbing, MN auto dealership to see if it’s right for you. Visit us today!